The major part of the eye consists of water. Continuous movement of water and ions between the ocular compartments and to the systemic circulation is pivotal for many physiological functions in the eye. The movement of water facilitates removal of the many metabolic products of corneal-, ciliary body-, lens- and retinal metabolism, while maintaining transparency in the optical compartments. Transport across the corneal epithelium and endothelium maintains the corneal transparency. Also, aqueous humour is continuously secreted by the epithelia of the ciliary body and maintains the intraocular pressure. In the retina, water is transported into the vitreous body and across the retinal pigment epithelium to regulate the extracellular environment and the hydration of the retina. 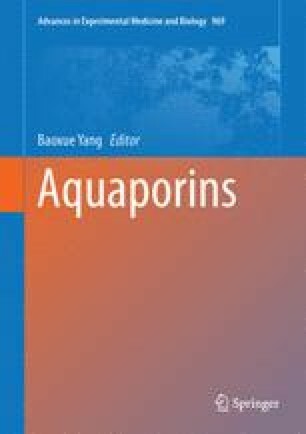 Aquaporins (AQPs ) take part in the water transport throughout the eye.